Martin Luther King Jr. Celebrations Overlook His Critiques of Capitalism and Militarism – Direct Action Welfare Group Inc. The establishment responded bitterly to King’s speech. 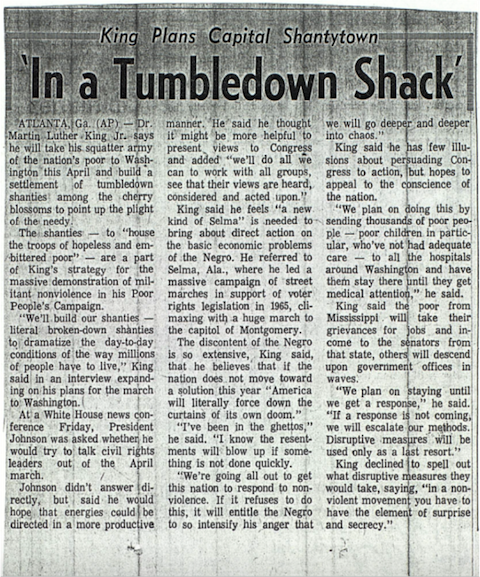 The New York Times editorial board blasted King for linking the war in Vietnam to the struggles of civil rights and poverty alleviation in the United States, saying it was “too facile a connection” and that he was doing a “disservice” to both causes.